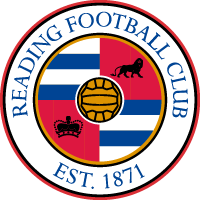 Reading make an impressive start to the league campaign. 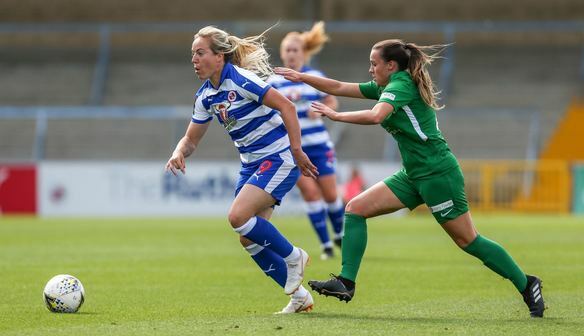 Following back-to-back Conti Cup wins before the International break, Reading made sure they hit the ground running in the league with a 4-0 win over Yeovil in what was a fine display. The hosts got off to a flyer, taking the lead inside five minutes. Brooke Chaplen drove forward before threading a ball through to Gemma Davison who exquisitely chipped the ball over the out-rushing goalkeeper Megan Walsh. The link up play between the front two was giving the visitors plenty to think about and when Davison released Chaplen with a well-timed through ball, the latter rounded 'keeper Walsh but could only strike into the side netting from an acute angle. Reading didn't have to wait much longer for the third goal though and it came from the penalty spot after Davison was brought down. Bruton confidently stepped up and dispatched with a firm finish into the bottom corner, sending Walsh the wrong way. No more than two minutes after that and the Royals had a healthy four-goal cushion through a Remi Allen header which was only helped on its way in by the fingertips of shot-stopper Walsh. "We needed to make sure we started bright and we made sure we came away with a win. In the second half we delivered an excellent 45 minutes. It should've been more in the back of the net today. That's probably the disappointing part." "Everyone's happy with the win and definitely for the back four, the amount of work we've been doing, to have a clean sheet but also being a big part of our possession (game). It's a good start to the season and we need to make sure we carry that on." "(It was) a good performance. It could have been more. It's a great statement for us for sure. Our aim is to get points and score as many goals as we can. We're really happy with the result." "There's always options (on the ball). There are really intelligent runs and we're creating chances all the time." "We take each game as it comes, we want to perform and (use) the detail that goes into our training."